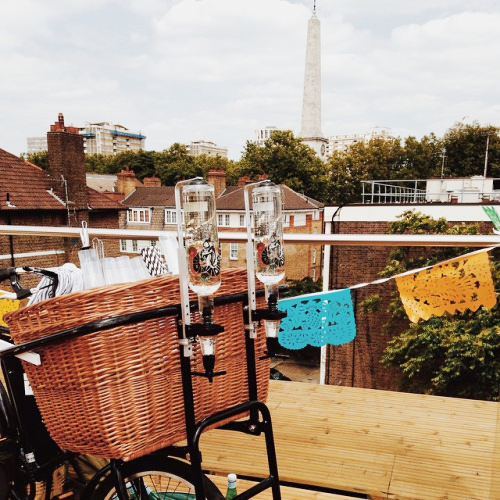 This London based pop-up drinks project by Ed Godden and Joe Lewis will bring you the best gin and tonics you’ll ever have, all from the back of very chic bicycles. 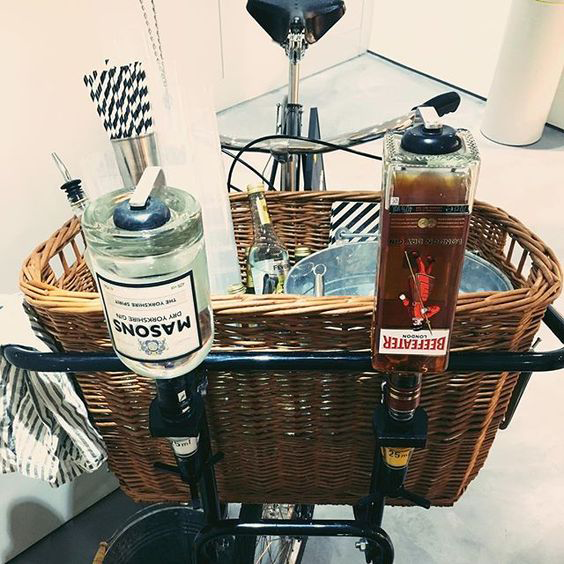 What made you want to set up a bar on your bicycle? 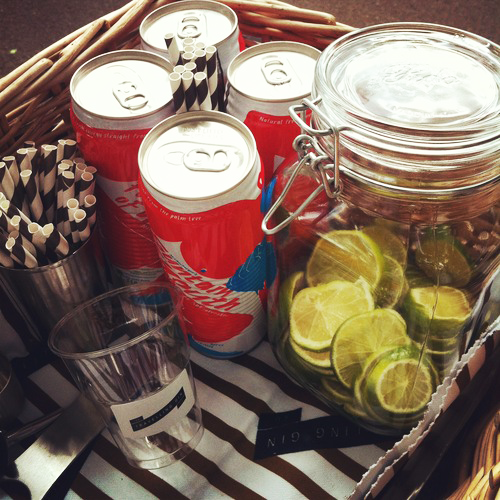 We’ve all wanted a mobile bar at some point though . . .
Joe is very much the cyclist. 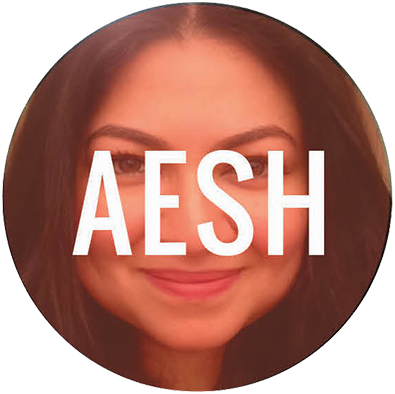 I’m more of the drinks enthusiast, but we both have good cross-over interest and that’s why we explored the idea and eventually put it in to practice. Our backgrounds career wise never pointed us towards the TGC, but hobbies/general life interest almost made it the natural choice to pursue. 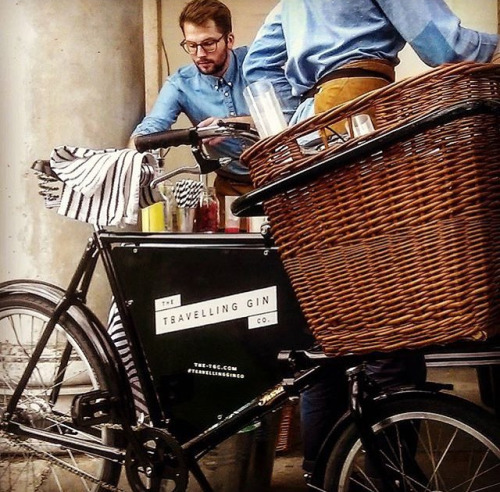 What has been the most exciting aspect of working at The Travelling Gin Company? Each event being unique from one another. 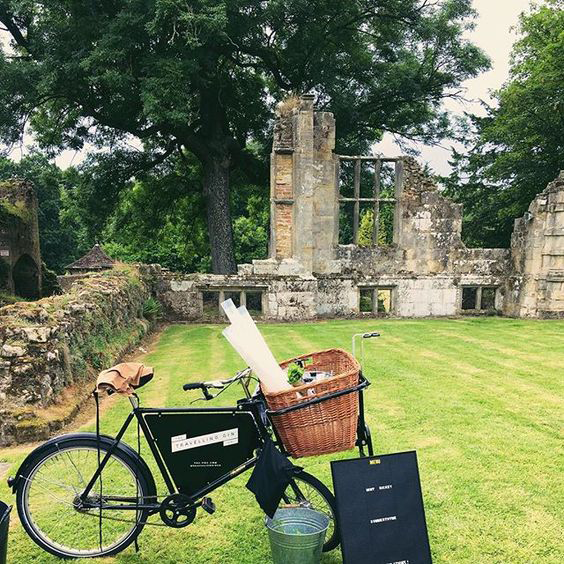 We provide pop-ups at many weddings for example, but each has its own stamp, even if we cycling over to setup and serve at the same venue. 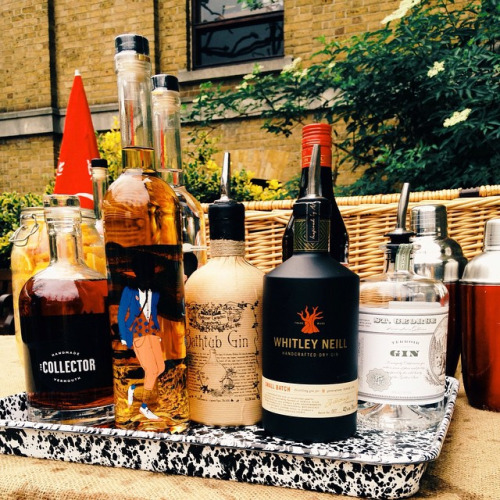 Bespoke cocktail menus, new venues, meeting new people. 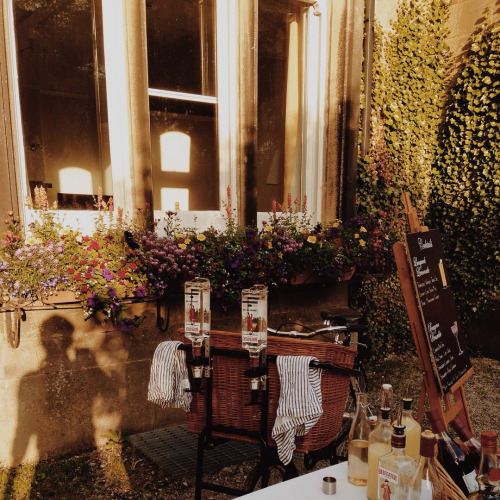 We always love the idea of setting up our own bar in the future, but we have to admit that the travelling itself would be something we’d miss. London can occasionally not be the most cycle-friendly city (although it is greatly improving!) …maybe it’s just because our bikes are bigger than most. But the primetime summer and a basket full of stock can be a serious workout at times, even before we’ve arrived to provide service! Any advice for those starting up an unconventional business? Keep it simple. Go with your original idea and then tweak it as you go, rather than attempt to do too many things at once. Especially if you’re setting up on your own or as a partnership. A skill you’ve acquired since working on TGC? Flavour matching, patterns, seasonal food & drink pairings etc. etc. Our drinks knowledge has purely stemmed from experimenting and trial & error with ingredients. We never serve anything random without testing it. But now in our 4th year, a lot of reading and research has taken place, we’ve gathered a good understanding of spirits (not just gin, although very much our specialty) and how other products and fresh produce can combine to great effect. 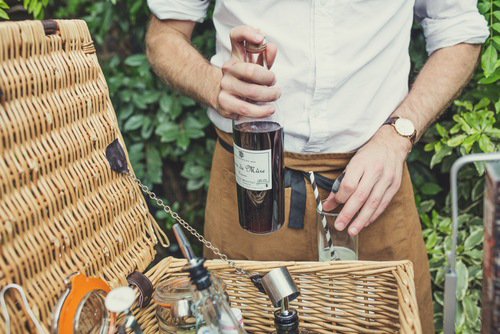 What’s the one thing you wish people knew about gin? The endless possibilities available to use it. Sometimes we get a customers who says they don’t like gin, but we often find it in fact is the bitterness of the Tonic in a G&T that they’re not keen on. 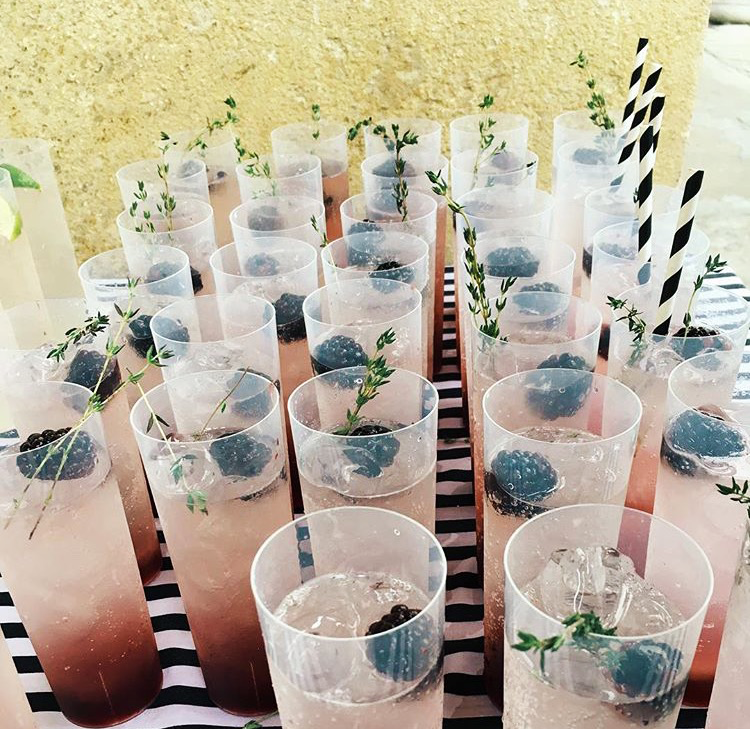 Sure, fragrant juniper is not for everybody, but you can mix up some wonderfully fruity, fresh drinks on go for more bitter, dry refreshments across the taste spectrum. Good for curing salmon too, making ice cream, sorbet…!!! A drinking trend/term you’re fed up of? Mixology. 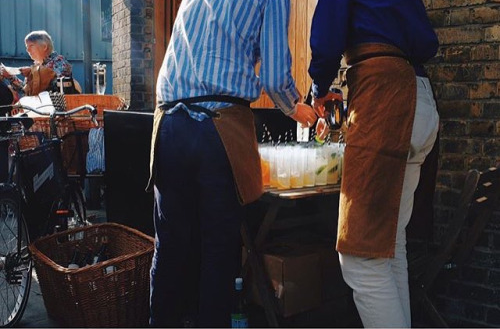 For sure there is a lot of science and creativity that can go in to making drinks, but fundamentally we feel it should be fun and for everyone to try out. Occasionally (not always!!) it just feels like the term mixology/mixologists adds a feeling of pretentiousness to cocktails, which in my opinion, often puts people off. The best drink on the TGC cycle? Ed – Earl Grey ’75…my own favourite spin on the classic French ’75…. w/earl grey infused Beefeater London Dry gin, maple syrup, fresh lemon, champagne top + rhubarb bitters. Joe – The Orange…30ml Campari, 20ml Dolin Dry Vermouth, 40ml Fresh Orange Juice. All shaken on plenty of ice, strained into a martini glass. optional splash of soda. 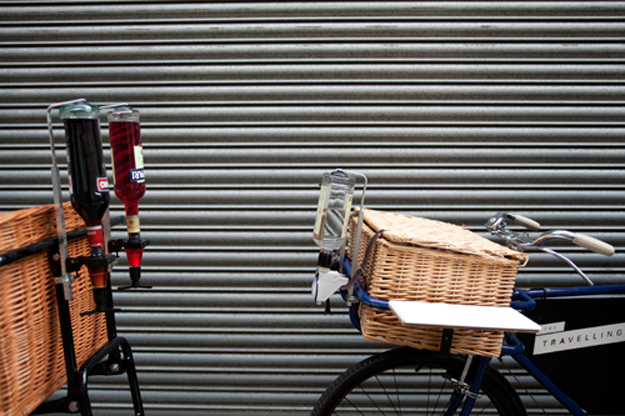 Classic wise, you can’t go wrong with a Negroni or a Bramble from our bicycle bar! A landmark moment in your drinking life? Think we are both in agreement when we say our G&T tour of Manhattan in 2015. Cycling in NYC was a joy (much better than London…the grid system helps!) and providing an international take to our menu, with traditional London influence, was great fun. Having a customer base from another country too opened up our perspective in lots of ways e.g. New Yorkers rate a quality level of hospitality much higher than we do here in the UK, so we took that back home with us to ensure now that the whole TGC service package must be to impeccable standards from our cocktail wheels, not just a tasty drink hand-out and go. 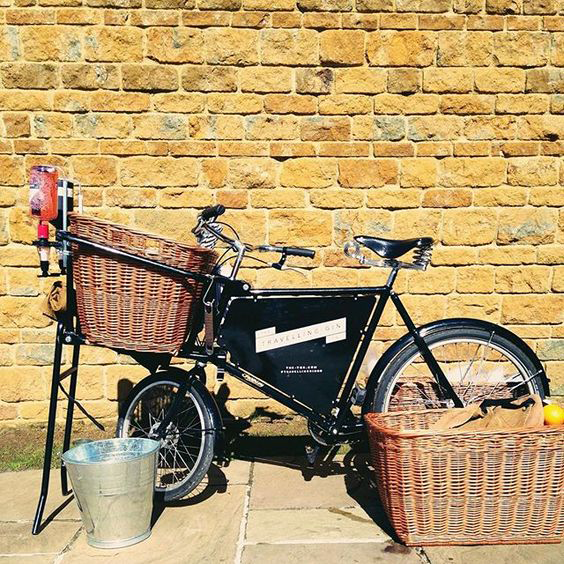 Can we expect The Travelling Gin Company at the back of a rickshaw in India? 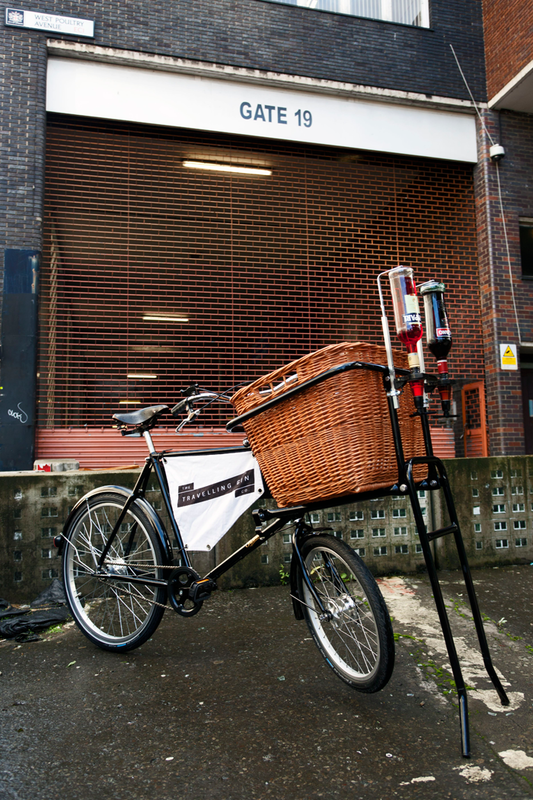 We really enjoy popping up with the bikes abroad, and would love to setup in India. We have exciting plans to expand and franchise in the future, so you never know! Cheers! 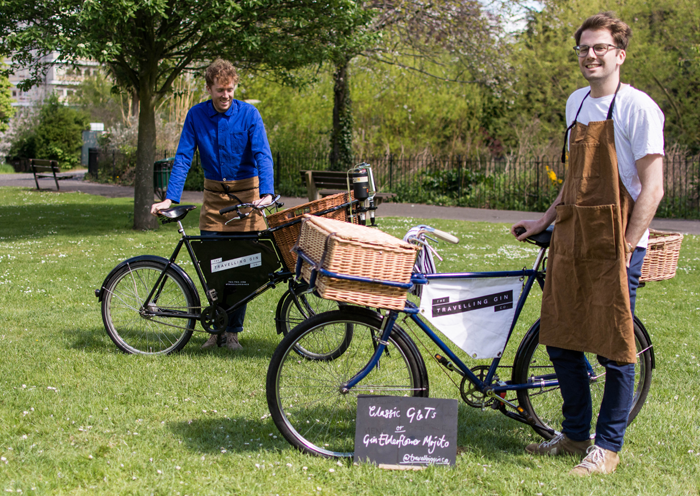 Till The Travelling Gin Co. bicycle reaches you, follow Ed and Joe here and here. Images courtesy Ed Godden.